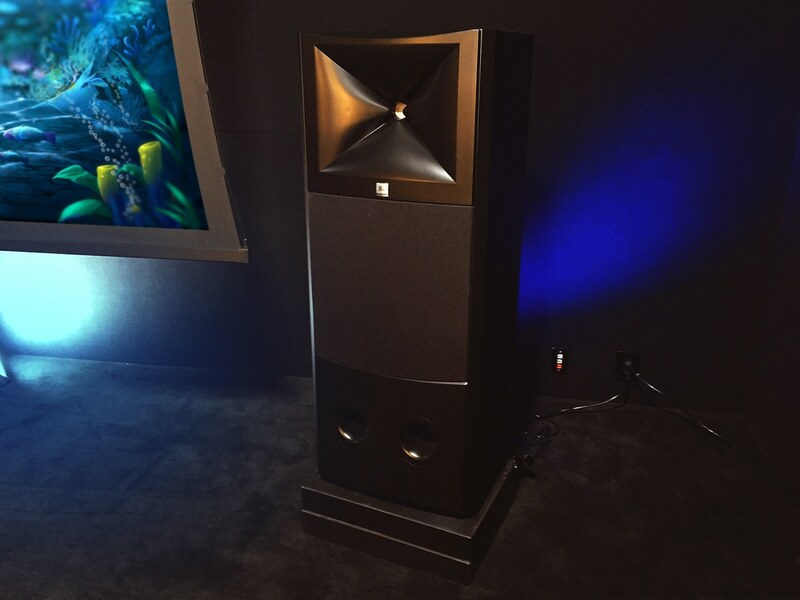 Dolby Atmos is the multiple speaker platform that is involved with the movement towards immersive sound. Multiple speakers on ceiling, side, front, and rear walls all contribute to lots of energy in multiple sound fields. It has now become a professional mix standard format for films in all professional studios. Westlake Pro has created a Dolby Atmos room. It is in the beginning stages and equipment has been installed. The next step will be to fire up the system and start to do the room tuning. Immersive sound is all about creating a more visceral experience. With multi channels at the engineer’s disposal, he can move sounds around to compliment the video presentation. Ceiling speakers will address anything flying overhead and multiple speakers along the front, side, and rear walls will compliment and be able to produce all the nuance and energy of real time events on screen. The first area we focused upon was the speaker to floor connection. 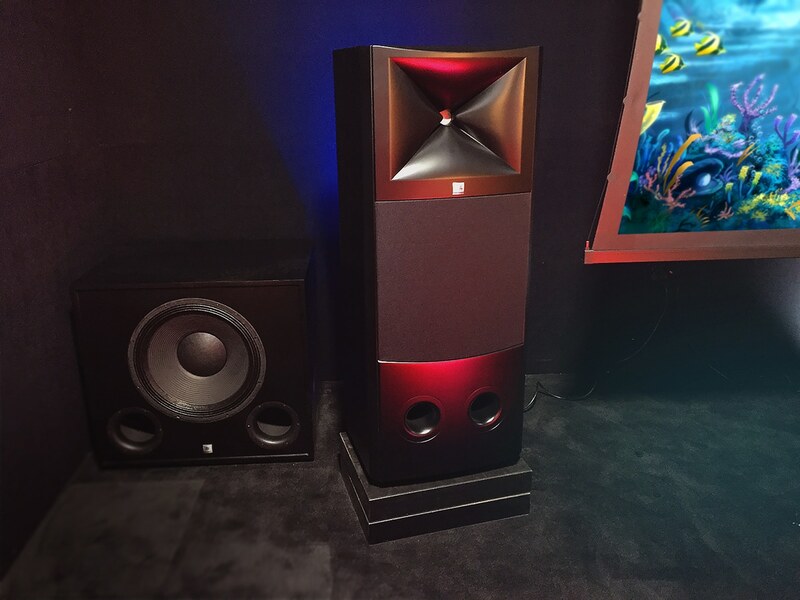 The engineers at Dolby and JBL calculated a 6″ speaker elevation was required for proper sound distribution. With a 6″ increase in speaker height required, we designed our carbon platforms to install under the speakers. We used two, 3″ thick, carbon platforms that could be stacked to improve isolation. Speaker platforms accomplish two main objectives. 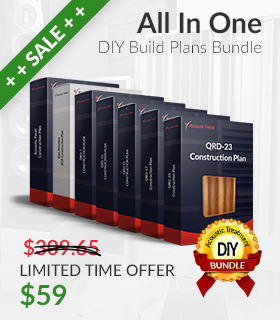 First, designed correctly, they can absorb excess low frequency energy. Secondly, they can isolate vibrations from the speaker to the floor contact area. 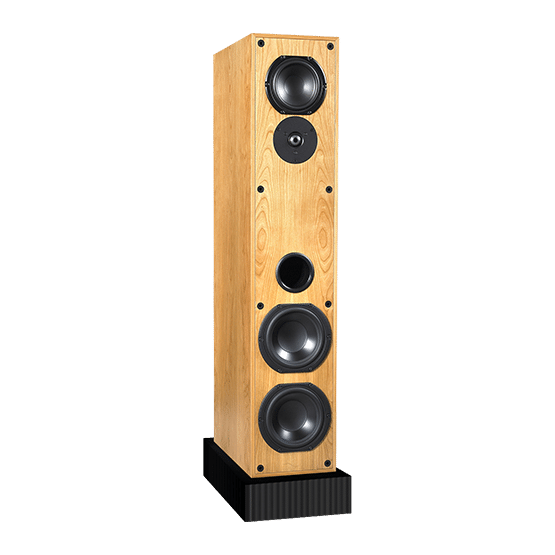 Both absorption and isolation are required to lower cabinet vibrations and produce a more driver oriented sound without the room and cabinet entering in. We also have 4 of our ACDA-10 Studio units ready to go for low frequency tuning once the system gets fired up and ready for tuning. We will start with positioning the ACDA-10 units along the front wall behind the speakers. Where and how many required will be decided after we spend time tuning the room. Stay tuned for the results. To minimize the transmission of vibration, lower frequency pressure issues, and internal cabinet, time delayed reflections that come through the low frequency driver in the cabinet, we use our carbon technology in our CSP which stands for Carbon Speaker Platform. 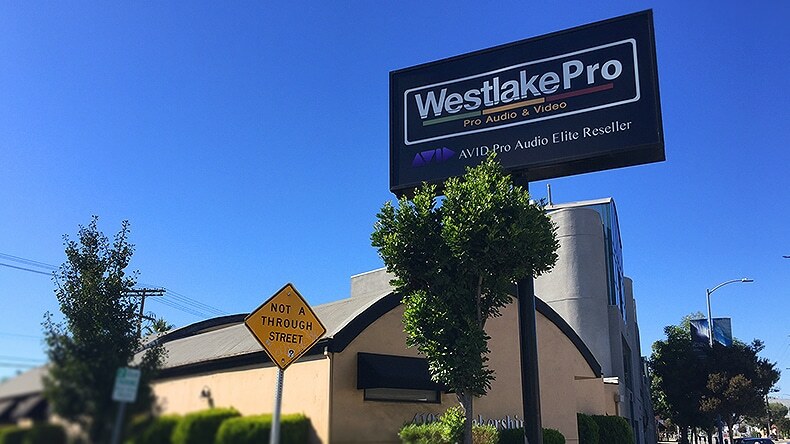 Westlake Pro offers a large selection of name brand audio and recording equipment, computers and music and recording software, and sound reinforcement and musical instruments, at guaranteed low prices.